With commitment to the highest standards of engineering practice, Joshua Z. Niemi, lead engineer for SCADAware’s Freshwater and Wastewater Treatment team, earns his P.E. License, the gold seal mark of engineering excellence. 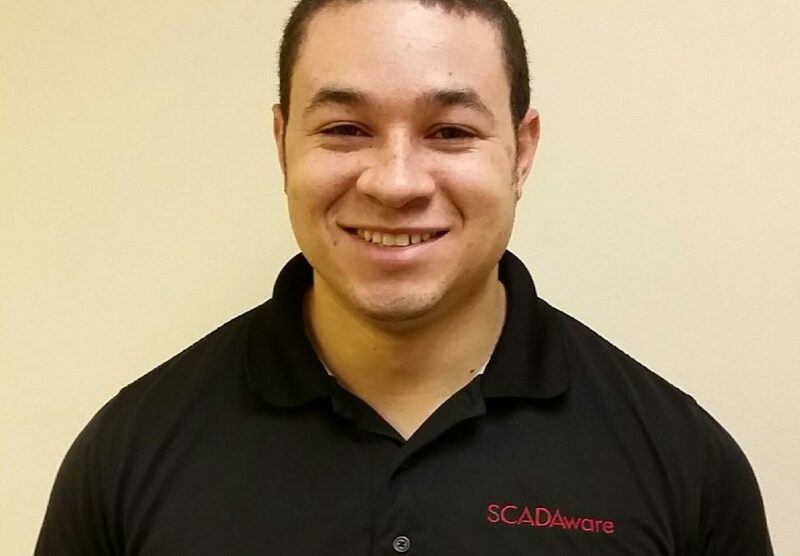 Normal, IL – February 24, 2016 – SCADAware, Inc., a leader in control system integration, today announced SCADAware Senior Electrical Engineer, Josh Niemi, has earned his Professional Engineer (P.E.) license from the Illinois State Board of Professional Engineers. P.E. Licensure ensures SCADAware’s clients that work is completed under the supervision of an engineer who has demonstrated exceptional competency with a proven track record. Niemi joined SCADAware in 2007 and has been the lead engineer for major client projects involving the design and development of industrial automation hardware and software solutions. Josh earned his Bachelor of Science in Engineering with an Electrical Concentration from Olivet Nazarene University in Bourbonnais, IL. In addition to his engineering education, to be eligible for a professional engineering license, Niemi had to pass specific examinations and achieve advanced levels of engineering work experience and professional milestones. Niemi leads a team of engineers for SCADAware managing major projects involving sophisticated control system design to help municipalities automate municipal freshwater and wastewater treatment facilities to meet stringent EPA standards. SCADAware collaborates directly with municipal personnel and civil engineering firms to design, implement, commission and provide ongoing support for cutting-edge Supervisory Control and Data Acquisition (SCADA) systems for facilities. SCADAware engineers, led by Niemi, worked directly with Crawford, Murphy and Tilly (CMT) consulting engineers and Springfield Metro Sanitary District’s plant employees on the high-profile multimillion-dollar Spring Creek wastewater treatment project. The district serves 150,000 customers, including 100,000 from the Spring Creek plant and 50,000 from the Sugar Creek plant. With a peak flow of 80 MGD, the new Spring Creek plant features state-of-the-art systems integration designed for the fully-automated facility. The project replaced the original plant built in 1928 and is an achievement demonstrating a high level of complexity, innovation, and sustainability. SCADAware is also working with CMT on the expansion of the district’s Sugar Creek Plant. Founded in 2000, SCADAware, Inc. is a control system integrator providing strategic industrial automation solutions for clients across a wide range of manufacturing and process industries. The company specializes in the design and implementation state-of-the-art control systems and Supervisory Control and Data Acquisition (SCADA) systems to help clients improve operations performance, safety, efficiency and overall profitability. SCADAware’s automation systems have been installed around the world for clients including Fortune 500 firms, US military, heavy equipment manufacturers, municipal freshwater and wastewater treatment facilities, industrial wastewater facilities, food and beverage manufacturers, automobile manufacturers, grain handling facilities, alternative energy industries and others. To learn more about SCADAware, please visit SCADAware.com.